Bill Baker: Let's start with the basics: What is a Soul Chaser, who is Betty, and how and why did she become a Soul Chaser? Brian Babendererde: In the world of Soul Chaser Betty, a Soul Chaser is someone who exists in two worlds at the same time: Earth and the Dreamscape. At any given time there are seven of these warriors, eternally sleeping and dreaming in comas on Earth, but living and fighting in the dream world of Nod. It's here that they battle the Weaver, a powerful renegade soul that was long ago exiled to the Land of Nod and has since haunted mankind. The Soul Chasers are forever chasing him away from the world of the living, their powers balancing out the evil of the Weaver. Betty is the newest member of this elite group, although she isn't exactly the most qualified candidate. 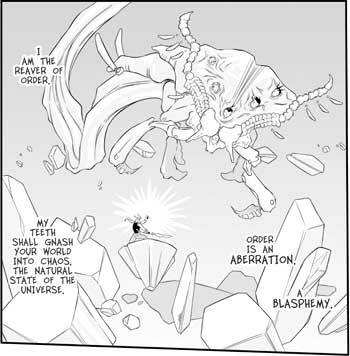 In fact, her becoming a member of the Soul Chasers is orchestrated by the Weaver himself in a bid to weaken them and therefore end his eternal exile. BB: This particular tale took a while for you to develop, and followed a somewhat different route, didn't it? What were the circumstances behind the original idea, and how did you develop that idea over time into its present form? Brian Babendererde: Betty started out as a concept for a video game, back around '98 or '99, so yeah, she's been around awhile. In case your readers were unaware, I'm a video game designer by day, comic creator by night. In the game trade, we tend to throw a lot of concepts at the wall and see which ones stick. As you can imagine, some of the ones that don't go forward still have great potential, and Betty was one of those. Originally, the idea was for Betty to inhabit a sort of post apocalyptic fantasy world, over run by creatures of the night. She would gain powers by defeating end bosses, and these powers would allow her to explore further in the game world. Her partner, Rolf, was even going to gain the power to transform into a werewolf form. This was a very classic design concept, sort of a Zelda and Meg-Man approach, but transferred to the 3D realm. Somewhere there is even a 3D model of Betty floating around, created for a prototype of the game concept. But we chose to go with an entirely different concept, and Betty went on the back burner until around 2000, when I dusted her off and decided to take a different approach to the story, while maintaining the basic character relationships. I wanted the new incarnation of Betty to allow me to play with real world mythology, and to be set in an age that would let me to play with fantasy, but ground it in a real environment. The story that developed from there was completely different from the original game concept. BB:: In your experience, how similar are the concerns of a game developer and a comic creator...and what are the important differences? And did the gaming work add any useful tools to your creative arsenal that aided you in your work on Betty? Brian Babendererde: I'd say at the outset, game design and comic writing are very similar. In the early concept stage, it's all about raw ideas, back story, and coming up with the hooks that are going to engage players/readers on a purely conceptual level. 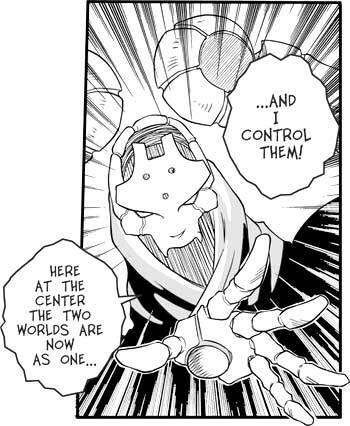 From there the two begin to diverge, as games become more about the experience, with stories that are interactive, and therefore often fragmented, while comics are naturally linear stories. In other words, a game plot can often be experienced by the player in multiple ways, and in various chronological orders. In comics, the author has much more control over how the reader experiences the story, from page one to the end of the story - a linear narrative. However, interactive storytelling can really teach an author about narrative, how people perceive it, how they choose to experience it, and how players identify with the characters that they control. So I tried to bring those lessons with me. At the same time, traditional linear fiction needs to be studied by more game designers to understand character, motivation and story flow. BB: In your Afterword, you talk about how your work as a game designer had wreaked some havoc on your chops as a comics creator. What specific abilities were affected, and in what way were they weakened, and how did you recover those? Brian Babendererde: Two things really. One; I started out in games as an artist, although I was always programming and designing my own games since I got my hands on my first Commodore 64 (I'm really dating myself here!). Over the years, my focus drifted away from art and into design and writing, and I eventually found myself in charge of whole stables of creative artists that were infinitely better at taking my worlds and stories and visualizing them under my direction. And so, after a few years, my drawing skills had somewhat lapsed, purely from under-use. When it came time to do the comic, I decided to draw it myself. I made it a priority to go back to the drawing board, literally, and whip myself back into shape for months before the first page was drawn. From there, it was a process of not only drawing the pages and learning how I could best adapt my style to the comics medium, but forcing myself to tackle subjects like buildings, cars and environments. An artist can only go so far by drawing pretty girls! Two; after years writing interactive fiction, and really learning how to make that work as best as I could, it had been a while since I had written something in a traditional format. Betty therefore required me to tackle a linear narrative, and really try and hone it as a tighter, more focused story than we would typically construct in games. BB: One of the things that really struck me about this book is the cosmology underlying Betty's world, one which encompasses just about every religion mankind has followed throughout the ages. How did you develop that idea, how much research and soul searching on your part did it require, and how difficult was it to incorporate all those varied spiritual practices into the cohesive pattern underlying Betty's world? Brian Babendererde: I'm really glad you liked that part of the story. I love mythology, and one of the things that fascinates me about it, is that where ever you go around the world, certain themes and motifs always arise. Of course, we have Joseph Campbell's Hero with a Thousand Faces as the root of that concept. But I like to play with the worlds of mythology, and I think this is a more common thing in the game world than it is in mainstream fantasy fiction, which often tends to stick with tradition. 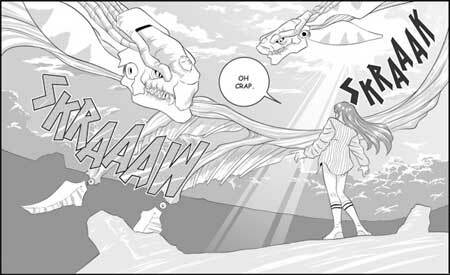 I think younger authors and readers, who have been exposed to media such as Japanese video games, especially RPGs which happily combine European and Asian mythology, are more open to this kind of weaving of cultures. So for Betty, I wanted to really try and incorporate many different cultures into the cosmology of the world. The great thing about researching mythology, religion and folklore from around the world is that you begin to draw parallels that haven't been used before, and story concepts begin to formulate. It's a very creatively rewarding experience, and you hope that maybe readers will go and Google some of the characters and concepts and learn even more about these tales and their connections. And yes, there was some soul searching as well. I always try and put a little bit of my own world view into my fiction, and I think that some of the creatures and characters of Betty's world are personifications of some of my own beliefs, at least on some basic level. Mythology has always been a way for people to cope with and understand the world around them through fantastic stories, and I like to play with that concept. For example, primitive man might have explained a coma as a long dream quest, the victim fighting whatever evil it was that trapped his soul. In a story like Soul Chaser Betty, that can literally be true. 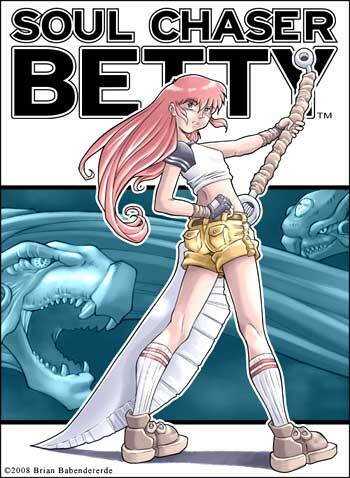 BB: While this trade wraps up nicely and easily stands on its own, I did get the sense that there's a possibility for more stories featuring Betty and her crew; am I off-base on this front, and if so, are you planning on revisiting this world again in the future? Brian Babendererde: Soul Chaser Betty does stand alone as a first adventure and origin story, and that is intentional. I like books that tell a complete tale, even if the over-all story has more places to go. For Betty, I'm not yet sure when I'll get back to her adventures. I'd like to explore the world and characters a bit more, and have plenty of ideas for what to do next with the Soul Chasers and their powers. In fact, it was after the first story was completed that I began to realize some other, cool ways for Betty and Rolf to interact with the Dreamland and Earth. Yet, I have other projects in the fire right now, and those are drawing all of my time. We'll just have to see if I can make the time to tell another Betty tale. BB: Do you have any interest in working on any company-owed titles, or are you happiest working on your own creations? Brian Babendererde: I've been courted here and there to work as an artist on other properties in comics, but nothing has come along that I would jump on. 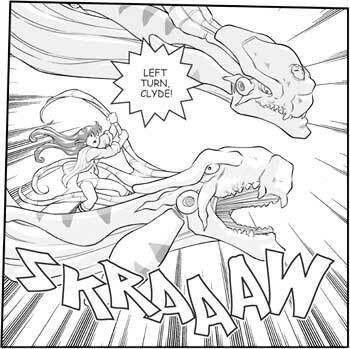 For me, writing and drawing a comic like Soul Chaser Betty is a labor of love, and for me to deliver that kind of dedication to something, I tend to need to have my hand in the writing process. Because of that, I think that scripting for other artists would be a more satisfying option, and something that I am more comfortable with based on my day to day experience as a game writer. BB: What does working as a game designer do for you, be it as an artist or personally? And what does that give you that you might not get from doing comics? Brian Babendererde: Game design is a great way to make a living. You are surrounded by creative people, both artists and writers, and if you pay your dues and climb the ladder, you can earn creative control over multi-million dollar projects. Games are a lot like movies these days, and an experienced designer can be the equivalent of a writer/director in Hollywood. And when the team is dedicated and shares the vision of the designer, amazing things can happen. The other great thing about games is that they, more than any other medium, are living creations. Authors often talk about how characters, books or movies take on a life of their own after they are released. But the characters in games can literally fight back against their designers, with AI, tactics and surprises. How cool is it to create a character and have them defeat you in battle? In addition, once a game is released, there are thousands of players that take their own path through that world you created, and they often modify and add their own touches, often showing the original designer approaches to the game you never conceived of. I've found this to be especially true of the RPG community. BB: And how about comics? What do you get from creating comics, personally and professionally, and what does that give you that you might not get from your work as a game designer? Brian Babendererde: For me, creating a book like Soul Chaser Betty is actually a way to strip out the stress and politics of the game business. It's all great to be working on a big budget title, but sometime the politics of publishing can modify the designer's vision, or the lack of time can force the publisher to cut your favorite features. With a comic that is written, drawn and published by the same author, it's all about what that author wants to do; what story does he or she want to tell. 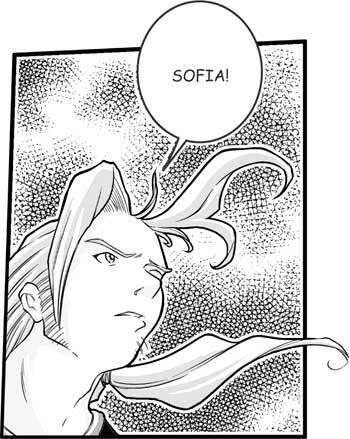 Self published comics allow an author to tell their tale at their own pace--there isn't an investor breathing down your back or a producer asking you to include some character to appeal to a broader demographic. For visual storytelling media, there are only so many ways a long form story can be realized: Movies, animation, video games, graphic novels. And of all these, only graphic novels easily allow one single author to lay down a vision without assistance--or interference--from a host of outside forces. At the end of the day it's your vision, for good or ill, and that can be very creatively rewarding, even if it's not always financially rewarding. BB: How about your audience? What do you hope folks get from playing the games you've helped bring into the world, and what do you hope the readers of Betty get from that experience? Brian Babendererde: Of the games that I've worked on and had control over script, I've always strived to put something of myself and my own world view into it. I take the medium as seriously as I can, and I appreciate seeing more complex moral issues being raised in games. I get a lot of letters from players telling me how they were surprised at how affected they were by a character's death, a plot twist or a story conclusion, and that kind of emotional involvement is really what an author wants from his audience. Soul Chaser Betty is a little different from my game work, in that it was conceived first and foremost to be a fun, action-adventure story. There is some underlying mythology, and I hope readers will be interested enough in those themes to learn more about the fantastic stories that Betty draws upon. But for this project, I really wanted to have fun with the nostalgic 1980's era, and make something that will put a smile on readers' faces by the end of the book. BB: Well, what's next for you in the short and long terms? Brian Babendererde: Recently I've started working on a new project, this time something closer to the kind of fantasy world-building that I create for games. It's very different from Betty, very epic fantasy adventure, very similar to my work on Septerra Core, which was an RPG I wrote and designed for the PC back in 1999. It's a while off before anything concrete comes out of that, but it's creatively a lot of fun right now. In the end, it looks like it will take the form of a traditional novel, and that is an entirely different, but exiting, direction for me. In the meantime, I'll be at Anime Central in May, which is a great con here in Chicago with amazing fans. Midwestern readers can drop by to check out sketch books, prints and even get a personalized sketch. I'll be doing some signings of Soul Chaser Betty in Chicago area stores in February, and those dates will be announced on my website. Speaking of which, check out www.TwilightTangents.com for art galleries. There's plenty to see, from work I've done on games, to fantasy illustration and even Betty pin-ups. And there is always new art going up. Brian Babendererde: I really want to impress on readers that their local store isn't going to carry a small press book like Betty if they haven't heard about it from their customers. So if you want a copy, ask your local store to order you one in December! Check out page 319 in Diamond Previews under Twilight Tangents.com, or give them the Diamond order code DEC084285. For people who can't get a copy from their local store, or live outside North America, or simply want a signed, personalized copy, you can order one from my website. Visit www.TwilightTangents.com/betty for more info, including a preview of the first chapter. 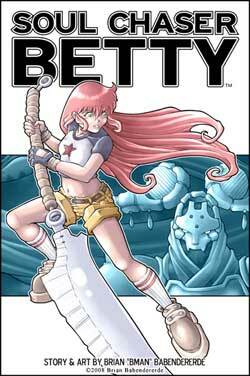 And finally, thanks for taking the time to talk with me about Soul Chaser Betty!